Cumbria Gateway, in Carlisle, supports people who have completed a drug and alcohol treatment programme but need help to fully integrate back into society. It offers accommodation, structured programmes, drop-in breakfast clubs, skills training and work experience opportunities. It also provides employment opportunities for recovering substance users through its handyperson scheme. The scheme, which enables older people to remain independent in their own homes by offering an easy to access, affordable service, received £13,129 from the Older People’s Fund and the Janetta Topsy Laidlaw Trust Fund. 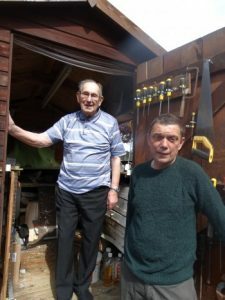 It is designed to offer older and more vulnerable residents help with small repairs in their homes and gardens at affordable prices. It can also provide a means of contact with the outside world, helping reduce the potential impact of loneliness due to social isolation. 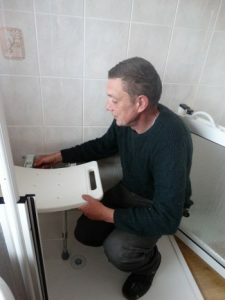 Chris Davidson, the handy person, is a former service user of Cumbria Gateway, and also works in close partnership with other agencies, such as Age UK to ensure that the needs of the individuals are being met and addressed appropriately. Chris is also supported by other volunteers engaged within Cumbria Gateway’s recovery services. This gives them the opportunity to learn transferable skills and breaks down certain stigmas that can often be attached to mental health and addictions. Jennifer Campbell, Chief Executive Officer at Cumbria Gateway, said: “With the grant we have not only been able to support more than 240 older and vulnerable people in the community, but we have also given valuable training, work experience and social interaction skills to our volunteers that have been disadvantaged through mental health and/or addictions.